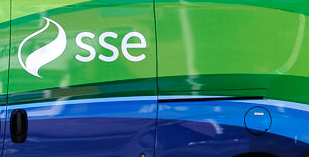 Last month, SSE said it was in talks with Germany’s Innogy about potential changes to the terms of the merger after the UK’s regulator proposed a price cap on default energy bills. SSE last year agreed to demerge its household energy and services business in Great Britain with Npower to form a new listed UK company. The merger would have created Britain’s second-largest retail power provider. “While the board believed strongly in the new company’s potential to deliver benefits for customers and the wider market, it does not now believe the new company would be in a position to meet trading collateral requirements in a sustainable way; and does not now believe the new company would be capable of listing on the premium segment of Official List and Main Market of the London Stock Exchange. “The transaction has been impacted by multiple factors including the performance of the respective businesses, clarity on the final level of the default tariff cap, changing energy market conditions and the associated implications of these for both the joint business plan and the market in which the business would be operating. SSE CEO Alistair Phillips-Davies said: “This was a complex transaction with many moving parts. “We closely monitored the impact of all developments and continually reviewed whether this remained the right deal to do for our customers, our employees and our shareholders. “Ultimately, we have now concluded that it is not. This was not an easy decision to make, but we believe it is the right one. “SSE Energy Services remains a profitable business with a strong track record, a customer-centric culture and an excellent team that has enabled it to be a market-leader for many years. “We will build on this while continuing with separation activity in preparation for its long-term future outside the SSE group. “We are now exploring all the available options with a view to delivering this future in the best possible way. “In this, the interests of our customers, employees and shareholders remain paramount.